heroal rolling shutters are the perfect solution for storm, heat, cold, burglary and noise protection. 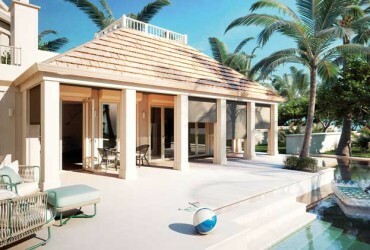 heroal roll-down hurricane shutters provide ultimate protection against hurricanes and storms. heroal Roll-up doors are designed to complete your builing. Moreover they withstand hail and high wind speeds. Every year hurricanes hit the US coast. heroal offers products for maximum protection - tested quality for a secure home. Discover the wide range of heroal products and burglar-proof measures to protect your home from burglars - stay safe! heroal solutions for storefront and in-store security, office and storage, manufacturing sites as well as public buildings. Find the right heroal specialist in your area quickly and easily - with just a few clicks. heroal products provide the highest design, color as well as coating diversity and can be tailored specifically to your home. Innovation and quality made in Germany, fabricated in the US. heroal is fully represented in the US. Current press information about all heroal innovations, product highlights and events. Do you have questions about our products? You can reach us by phone or e-mail. We are happy to help you and advise you about our products. Discover the benefits of rolling shutters for your home. heroal exterior window shutters are the perfect solution! The unique heroal hurricane shutters offer an intuitive system that requires minimum effort and ensures maximum protection. Our selection ranges from aluminum shutters to double-walled stainless steel - which ensures the utmost security! heroal’s retractable screens withstand the toughest weather conditions, operate unobtrusively, and suit the design and size of any building. heroal provides effective protection against hurricanes, to ensure your safety. Find out for yourself! Premium quality and flexible solutions, customized to suit your home. For all your needs, there’s a matching heroal roller shutter. Feeling at home means feeling safe. 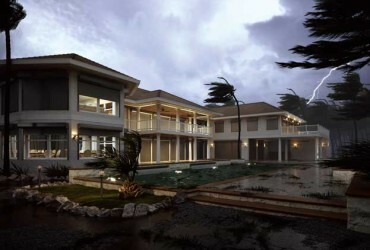 Protect your home, and everything inside, from the extreme forces of Mother Nature with our unique shutter systems. 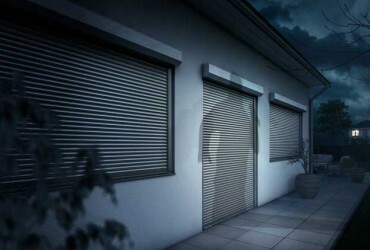 Security shutters for new constructions and renovations with effective burglar protection for you and your family. Feel safe around-the-clock. The heroal range of sun protection products provides a versatile, wind-stable, and efficient system for intelligent shading. Let the light in, keep the heat out. With a variety of designs, the heroal roll-up doors are perfectly suited for versatile applications of all sizes and provide extra comfort and protection for new constructions and renovations. With more than 3,500 specialist partners worldwide, we’ll help you find the right expert in your area. We’ll send you the contact details of your partner immediately. As a technical market leader in the field of high-quality, modular aluminum systems for residential and commercial buildings, heroal is constantly setting new standards. We take the quality of our products and the satisfaction of our customers very seriously indeed – which is why we provide you with everything from one source. Whether it’s roller shutters you want or sun protection or garage doors – heroal has the right system for you. Find out more about our high-quality, durable aluminum products for your next construction project and find your inspiration with us. Our specialist partners support you with the construction of your new building or your remodeling project. With storm-affected areas, dangerous hurricane seasons, and the perils of nature, cut down the cost of your insurance by investing in a heroal protection system. Choose the right solution to suit your specific environment and situation to make sure you’re getting the most out of your hurricane and storm protection. Our flexible and tailor-made solutions offer unlimited design possibilities for your home; no matter the design you’ve chosen, we’ve got you covered. Whether for residential or commercial reasons, heroal provides high-quality solutions made from stainless steel and aluminum for the utmost security. Tested in accordance with European standards, each system guarantees the ultimate burglar protection. Keep your belongings and everything you hold dear secure with heroal. Commercial buildings require protection from both break-ins and extreme weather alike. heroal offers a number of flexible solutions that allow you to tailor your system precisely to your company’s needs. Whether you’re worried about burglars or looking for a sun protection system, our solutions are perfectly suited to commercial spaces of all sizes. With heroal’s variety of design options, finding a suitable roll-up garage door that blends in with the aesthetic of the whole house, is simple. There is a whole selection of colors and features to choose from, including different box sizes. heroal combines design with comfort: Operate your roll up door by the push of a button or via your smart phone! Intense sunlight is very common in North America, but the advantages of solar screens are little known. With heroal retractable screens, bugs and insects can be kept outside, and interiors can be evenly lit between sunshine and shadow. With the heroal retractable screen, you can create a room climate that is SIMPLY BETTER. Founded in 1874, heroal has grown to become the market leader in the field of high-grade, modular aluminium systems for the building envelope.